Our Twitter feed is currently unavailable but you can visit our official twitter page @ezra_henderson. Ezra Henderson is a pop artist and songwriter from San Luis Obispo, CA. As a singer, producer, pianist, guitarist, drummer and hip-hop dancer, he commands the stage with passion, musicianship, and professionalism. Ezra has performed with many national tours including, DigiTour, and The Daydream Tour. 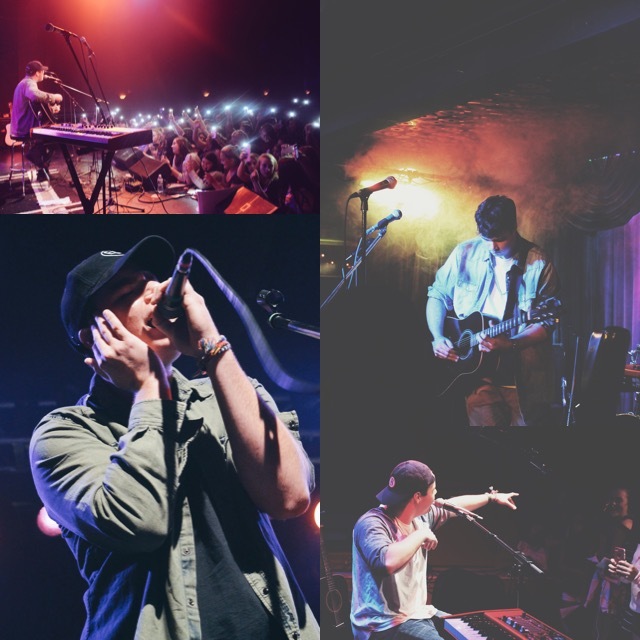 He’s opened for and shared stages with Cody Simpson, Skate Maloley, Jacob Whitesides, Jonah Marais, Sebastian Olzasnki, Reed Deming and more. He delivers original music and cover songs with heartwarming sincerity and beautiful vocals, drawing crowds and staying late to connect with his waiting audience. Ezra also maintains great fan interaction through his social media accounts (Twitter, Instagram, Snapchat). In June 2016, Ezra independently released his “Paranoia” EP, which he wrote, performed and produced. In the same year, he also produced & released “Undiscovered”, a collection of covers, including a cover of Justin Bieber’s “Cold Water”. On October 13th, 2017, Ezra released his 12-song debut album, “2AM”, written & produced by him. The album sat well with his fans, consisting of catchy R&B vocal hooks paired with hard-hitting hip-hop 808s; a familiar sound from the 18 year-old producer. For booking, please contact Deborah Kirk at booking@ezrahenderson.com. Shot in Ezra’s home state of California, directed by @RV3Productions. Song produced/written by Ezra Henderson. First video from the 2AM album.